We sat down with AWE Loan clients, Perla Pereira and Myrna Saramago to learn more about their new business, Oh My Dog Spa located in Edmonton, AB. Myrna and Perla were both born and raised in Brazil, however, in 2013, the two met for the first time in Edmonton. Perla was temporarily living in the city, while Myrna had re-located to Edmonton full-time with her family. Myrna, a Business graduate and Perla, an Engineer had no idea five years later, they would be opening their own dog grooming salon in Edmonton. "My family and I moved to the Windermere area and realized very quickly that there were no grooming solutions similar to Brazil. In Brazil, the pet industry is second in the world. Every week you take your dog for a grooming. Here in Canada, it's every four to six weeks. After testing out a number of groomers, we realized what we had in Brazil would be amazing to bring to Edmonton." While Myrna conducted her market research, Perla worked on obtaining her visa. They found their location and knew that this was going to be the spot for them. "The builder only had two spots left in this development. He asked if we had a business plan for us to hold the space. I said yes, but I didn't even have it completed yet (laughs). After we had the space I worked non-stop to secure the financing and obtain all the required licenses and certifications. We opened our doors in April 2018." Securing financing as a new business can be challenging for many entrepreneurs. The two found out about AWE through their personal banker and were able to secure financing with both AWE and ATB to open their business. "The AWE loan has provided us with the working capital we need to grow the business and maintain our operations. Our Business Advisor has been great to work with and very supportive." When asked what advice the partners would share to anyone looking to open their own business, both unanimously said: "do what you like and what you're passionate about. If you're doing something just for the money, the chances of it lasting long-term is slim." The two also added that being prepared to work long days in the beginning is essential as is completing market research prior to opening. "The demand needs to be there. Do your market research and see who and where your competitors are. Location is key, especially as a retail business." The goals for Oh My Dog Spa in the coming year is to keep operations running smoothly while hiring new employees and grooming 420 dogs per month. To learn more about Oh My Dog Spa, visit their website or follow them on Facebook. To learn more about the AWE Loan Program, visit our financing page and our requirements. Entrepreneurs are often so busy working in the business that they don’t have time to work on the business. If your day-to-day workload is slower in the summer, this is the perfect time to work on business planning. If you haven’t reviewed your business plan recently, you should do so. As your environment and your goals change, your business plan should be updated to reflect this. Summertime is also a good opportunity to focus on strategic planning, reviewing and setting targets for the upcoming year, and make a marketing plan if you don’t already have one. Regardless of how many years you’ve been in business, there is always opportunity for further learning and professional development. AWE is hosting some great summer workshops on topics such as marketing, market research, and accounting. You can check out our upcoming training events here. Do you ever say “we should have coffee sometime” to a business contact and then never actually meet up because you’re both too busy? If things are less chaotic for you in the summer, this is an excellent time to call or email your connections and build relationships. Alberta only gets a few months of hot weather so take advantage of it. Visit your local farmers’ market and check out the unique products that are being made close to home. Eat at a food truck for lunch – you’ll be supporting local entrepreneurs and the food is delicious! Entrepreneurs often remark that for them there’s no such thing as work/life balance, so when you have time to relax, take it! There will always be items on your to-do list, but taking a break to re-energize can actually make you more productive. You can’t be your best self if you’re perpetually exhausted. Take a vacation, or even a staycation. Try unplugging for a weekend (or maybe just an evening) and stepping away from those non-urgent emails. How do you spend your time during the summer slow-down? Let us know in the comment section below! As an entrepreneur, you’ve probably considered financing at some point for your business. Whether it’s money to help start your business or grow your business, working capital is essential for business owners. 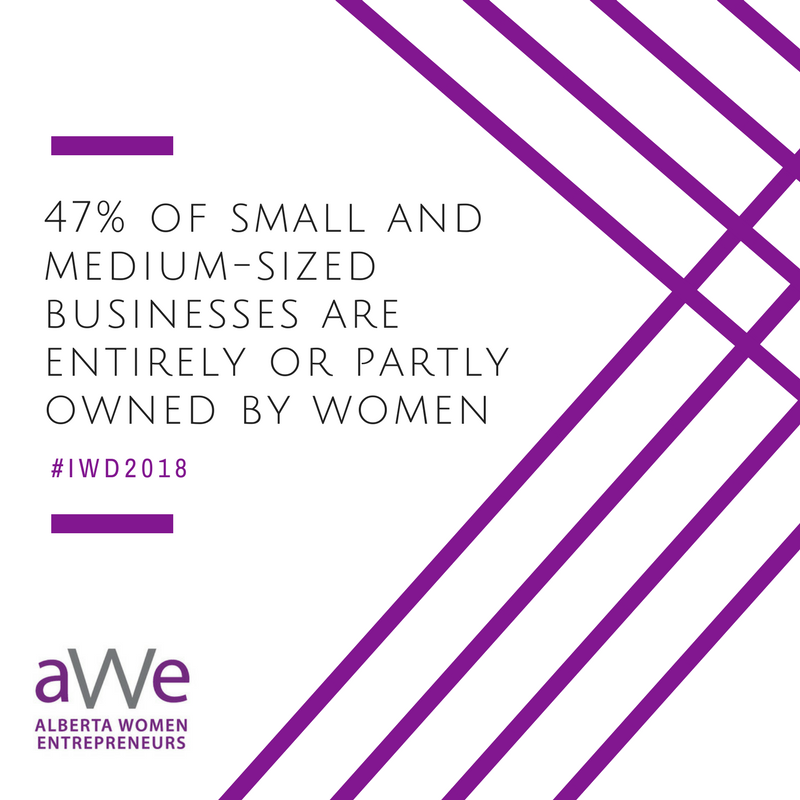 At Alberta Women Entrepreneurs (AWE) we provide loans from $30,000 to $150,000 to help entrepreneurs start, build and grow their businesses. While many entrepreneurs are eager to apply for financing, many do not qualify. What is the reason for this? Many entrepreneurs apply for financing, yet only a small percentage of them are actually ready for financing. How do you know that you are ready to apply for financing for your business? We’ve highlighted five important things to consider before applying for your business loan. Financial summaries, including projected cashflow for the next two years. Writing a business plan can be an extensive task. AWE offers regular business plan workshops in addition, we highly recommend utilizing Futurpreneur’s Business Plan Writer. This templated system allows you to fill in the blanks for your own business plan. A good business plan should be 20-100 pages. The more detailed you are in your plan, the more clearly a lender can evaluate the business and it’s projected success. All lenders require some form of security for loans. At AWE we require a minimum of 30% security on our loans. Sometimes, we may ask for up to 100% security. This means that we ask applicants to pledge some form of assets as collateral for the loan, whether it is your property, vehicle or other form of asset. We work closely with our loan clients to ensure the health and viability of the business. In the case that you cannot make your loan payments, we do have the right to take possession of the asset used as collateral to regain some, or all, of the amount originally loaned. If you are asking for a loan for $100,000, we require that you, the business owner show that you will be putting in $25,000 or have already put money into your business worth this amount. Why? By contributing the 25% you are showing your lender that you are willing to invest and take on some of the risk as well. Your credit score is a record of your past ability to make your payments as required and manage your credit. Each lender has a different score they look for when it comes to loans. At AWE, our business owners must have a minimum credit score of 650. We recommend requesting your credit score via Equifax prior to applying for lending in any form. Purchase of stocks, shares and other non-productive investments. If you have questions about financing for your business, we would highly encourage you to connect with an AWE Business Advisor or your financial institution to learn more about the requirements and how to ensure your loan application is successful. Did you know there have been changes to the CanExport grant? If you were previously ineligible because you already had sales in the US or another market, we have good news! The government has modified the rules; small and medium-sized companies are now eligible for the CanExport grant even if they have had sales in the target market (aka country). Thus, you can be eligible for CanExport as long as you have had less than $20K sales per annum in the target market in the last 24 months, or if the target market represents less than 10% of your international sales. CanExport is a federal government grant for small/medium size businesses, with annual revenues within the $200K-$50M range, who are interested in developing new export markets. The grant can cover up to 50% of your market development expenses for new market development. Expenses such as business travel, trade fairs, market research and adaptation of your marketing materials for new markets are eligible. Note that there are ineligible expenses. This is a 50/50 matching grant to a maximum of $100K. For example, if you spend $200K in market development activities, you may be eligible to receive up to $100K from the CanExport grant. CanExport is definitely a good opportunity for small businesses interested in exporting and there is a lot more to know about it. For more information, check out the CanExport program here. What is the AgriMarketing program? Note: If your products or services are related to agriculture, you may not be eligible for the CanExport grant. However, you should check out a similar grant through Agriculture and Agrifood Canada’s AgriMarketing program. 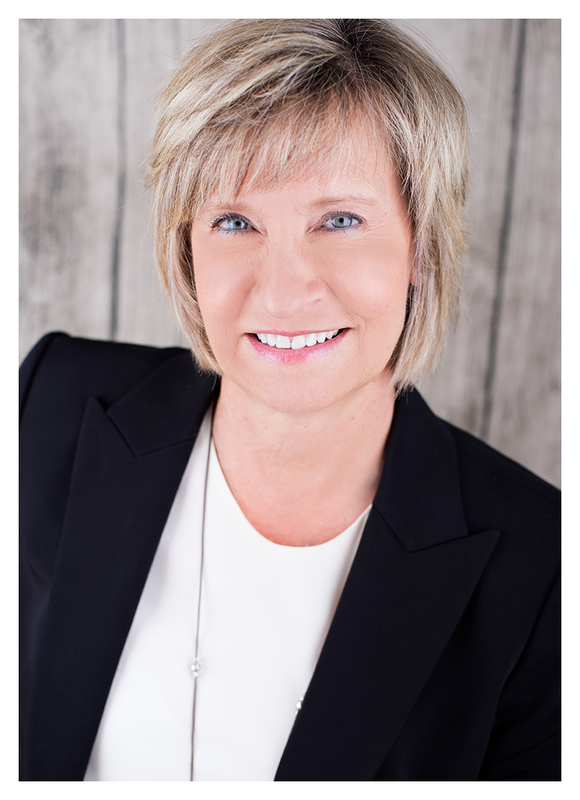 Kath Britton, MBA, CPA CMA, is the Director, Business Development for Women’s Enterprise Centre. Women’s Enterprise Centre is the leading business resource centre for women entrepreneurs in BC, providing business loans, skills training, mentoring, advice and resources from its three offices in Kelowna, Vancouver and Victoria. WBENC 2018 in Detroit, Michigan is the place to be! Capacity to manufacture in larger volumes. The WBENC Conference and Business Fair is the perfect opportunity for women business owners in all industries to connect and talk with buyers and supplier diversity specialists of Fortune 500 companies about how your business could become one of their suppliers. Many U.S. corporations are interested in buying from women-owned companies. This year’s WBENC is being held in Detroit, Michigan. To take in all of the events, you will want to arrive in Detroit by late afternoon on Sunday June 17 and head out on Thursday June 21. The Business Fair is on Wednesday June 20th. To register for WBENC 2018, it’s as easy as 1…2…3. Get on with booking your hotel room and paying your WBENC registration. Hotel rooms book up fast and registration is limited so do it sooner rather than later. Here’s the link. Also sooner rather later, connect with BWIT. BWIT is the federal government’s Business Women in International Trade program. Let them know you will be attending WBENC 2018. For the 10th year in a row, BWIT and the provincial women’s enterprise centres (WEC-BC, AWE, WESK and WECM) are working collaboratively to provide you with opportunities to find potential export markets. The sooner they know you’re attending WBENC, the more connections they may be able to find for your business. You do not need to have supplier diversity certification to attend the WBENC Conference and Business Fair. However, it can be helpful to know what supplier diversity certification is before you go to this event as you will hear the term mentioned many times and you will probably be asked if you are a certified diverse supplier. Don’t know what that means, talk to your WEI staff; they will explain this “strange but true” opportunity. Finally, if you’re interested in growing your business via export but this whole blog post is super-confusing to you, start with point #3. Contact your provincial women’s enterprise centre; they will answer all your questions and help you decide what’s best for you and your business. This blog post was written by Nancy Brommell, Business Advisor with the Women’s Enterprise Centre Manitoba. The western Canadian women’s enterprise initiative (WEI), funded by the federal government’s Western Diversification program, works collaboratively each other and the Business Women in International Trade (BWIT) to support women business owners interested in growing their businesses via export. Edmonton, AB – Yesterday evening Alberta Women Entrepreneurs (AWE) announced the recipients of the 2018 Celebration of Achievement and Entrepreneur Awards at a reception in Edmonton. The annual AWE Awards recognize women who have made a significant contribution to the business community in Alberta. This award pays tribute to an exceptional woman entrepreneur who has built a business in Alberta with a significant impact on the economy and the community. This entrepreneur is an inspirational leader and a role model for women in business. 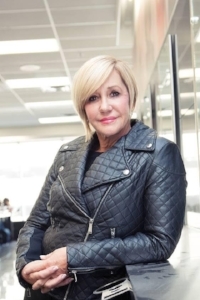 With six successful salons and spas across Alberta and almost 200 employees, Eveline Charles has dominated the beauty industry for over 40 years. Eveline&#39;s determination to become the market leader led to the expansion of her business in 2005 to include the EvelineCharles Academy - a state-of- the-art facility where future beauty industry leaders could harness and perfect their trade. The next venture for Eveline was expanding into custom product manufacturing with EC Labs. Founded in 2016, EC Labs is Canada’s newest beauty, health, and wellness product manufacturer. In addition, EvelineCharles Salons | Spas | Beauty MD has now begun franchising locations as a future expansion strategy. This award recognizes an entrepreneur who has a strong vision and passion for growth. The recipient has built a solid foundation for her business, has experienced growth, and has significant expansion opportunities. Celebrated for her tenacious and vibrant persona, Amanda Hamilton’s bold and unconventional approach to design and business has made her one of the most sought after interior designers in Western Canada. With over a decade of experience, Amanda Hamilton Interior Design has earned a diverse and extensive portfolio including custom residential homes, multi-family developments, restaurant, office and retail design. This award recognizes an entrepreneur who has built a strong, scalable business foundation, has achieved early success and market traction. As an homage to her culture, Sylvia wanted to introduce French cuisine to her hometown of Beaumont, Alberta. She completed a Kickstarter campaign in order to raise a portion of the capital required to open the French-Canadian restaurant named “Chartier,” which to-date is the most successful restaurant kickstarter in Canada. She acts as a mentor and advocate for other entrepreneurs and local businesses in the area. This award recognizes an entrepreneur who has built an innovation-based business and who has achieved early success with strong market potential. Dr. Gina Cherkowski is an educational game changer on a mission to ensure all students have access to high quality STEM learning experiences, so they are aptly prepared for our technology-rich world. Dr. Cherkowski believes that all kids can and should be proficient in math as well as the other STEM fields and fights to make this a reality through her work at STEM Learning Lab and Million Women Mentors. recipient of this year’s Celebration of Achievement Award, which recognizes an exceptional woman entrepreneur who has built a business in Alberta with a significant impact on the economy and the community. The Alberta-based Founder and CEO of EvelineCharles Salons | Spas | Beauty MD will be recognized at the 2018 Celebration of Achievement award reception on April 25th at the Sutton Place Hotel in Edmonton, sponsored by ATB Financial. “We are honoured to recognize such a deserving person with this year’s Celebration of Achievement award. Eveline is a true business leader and inspiration; she aims high and remains focused on achieving her vision,” explains Marcela Mandeville, CEO of AWE. With six successful salons and spas across Alberta and almost 200 employees, Eveline Charles has dominated the beauty industry for over 40 years. Eveline's determination to become the market leader led to the expansion of her business in 2005 to include the EvelineCharles Academy - a state-of- the-art facility where future beauty industry leaders could harness and perfect their trade. The next venture for Eveline was expanding into custom product manufacturing with EC Labs. Founded in 2016, EC Labs is Canada’s newest beauty, health, and wellness product manufacturer. In addition, EvelineCharles Salons | Spas | Beauty MD has now begun franchising locations as a future expansion strategy. “I am very grateful to receive this prestigious award. It is really humbling to be a recipient of this award in the presence of so many female entrepreneurs and leaders. This honour means so much to me, as entrepreneurship runs through my veins. I am so passionate about driving, growing, and reinventing my business every day to be a leader in our industry,” Charles said of her win. "Growing a business into a successful and sustainable enterprise requires passion, perseverance and a plan. Eveline is a trailblazing entrepreneur, whose vision and leadership has enabled her to grow her business in a lasting and meaningful way. She's an inspiration so many women, and entrepreneurs across this province and country," says Teresa Clouston, Executive Vice-President of ATB Business & Agriculture. "On behalf of the ATB team, I am pleased to congratulate Eveline and all the awards winners." At the reception on April 25, Alberta Women Entrepreneurs will honour Charles and her role as a leader in female entrepreneurship, as well as announce the recipients of three other award categories including Emerging Innovator Award, Emerging Award and Upsurge Award. Anyone wishing to celebrate the outstanding women entrepreneurs in our province is invited to attend the reception. Tickets for the can be reserved here. 2018 Alberta Women Entrepreneurs’ Award Finalists Announced! Edmonton, AB - Alberta Women Entrepreneurs (AWE) is pleased to announce the finalists for their annual AWE Awards which recognize women who have made a significant contribution to the business community in Alberta. There are three categories with multiple finalists named in each, as well as one Celebration of Achievement Award recipient who is recognized for being an inspirational leader and role model for women in business. The recipients of the awards will be announced and celebrated at the annual AWE Award Reception in Edmonton on April 25, 2018 at the Sutton Place hotel. Listed below are the award categories and finalists who have each demonstrated an entrepreneurial spirit through perseverance, the courage to take risks and the ability to seize opportunity. Since 2012, the annual AWE Celebration of Achievement award has paid tribute to an exceptional woman entrepreneur who has built a business in Alberta with a significant impact on the economy and the community. This entrepreneur is an inspirational leader and a role model for women in business. On March 8, 2018 we celebrated International Women's Day. Now, more than ever, there's a strong call-to-action to press forward and progress gender parity. There's a strong call to #PressforProgress motivating and uniting friends, colleagues and whole communities to think, act and be gender inclusive. In a recent report on women entrepreneurs and innovation completed by the Beacon Agency, Government of Canada, Carleton University and BMO Financial Group, key facts and trends were identified on how important women entrepreneurs are to our economy and communities. For example, did you know that women-led businesses today represent 50% of all new businesses? (BDC, 2017). In addition, among all small and medium-sized businesses (SMEs), 47% are entirely or partly owned by women (Statistics Canada, 2012). In celebration of International Women's Day, we are very excited to announce our new partnership with BDC as a member of Women’s Enterprise Organizations of Canada (WEOC) to better support women entrepreneurs. The agreement adds on to BDC’s commitments to support women entrepreneurs, namely new targets of $1.4 billion in lending to women-led businesses by 2021 and $200 million in investments in women-led technology firms. We sat down with Wendy Kerkhoff, President and CEO of Intellidig to learn more about her business, her methodology and her experience with AWE and the PeerSpark™ program. Q: Wendy, tell us, how did you end up becoming an entrepreneur? There’s a part of me that just always knew that I would start my own business. While I was working the recruiting industry, I honestly felt there was a lot of dissatisfaction about how the service was being traditionally provided. I knew there had to be a better way, so I went out and started working to fine-tune my efforts. I knew that eventually, companies would reach a point where they would recognize that all of their prospective talent came from the same data and talent pool. It was becoming a race to see who could get to that person and people became tired of it. That’s where research came into play. I knew that we had to find the people who weren’t looking and that the internet was an amazing place to find everything about people. This targeted approach about identifying candidates is what makes us different and is also why we have been in business for 15 years. Q: Wow, 15 years! That is incredible. How many people do you have working with you now at Intellidig? It ranges depending on the size and scope of project we are working on. On some projects, I’ve had as many as 20 contractors. My core team is made up of five to seven people. Q: What are you most proud of in your business? There’s a lot of things that I look back on and am proud of, but I have to say surviving in business is something to be very proud of in itself. Many businesses don’t make it past the five year mark, it’s a milestone. I’m really proud of what I have developed in the business and the high-profile organizations we have served. I’ve built a company that’s both functional and operational while surviving the odds. Q: Would you recommend entrepreneurship to a friend? It’s definitely not for everyone, but for me it’s the right thing. It’s something I was always trying to work towards and identify the right time to do it. Eventually, I just took the leap of faith and decided I was going to do my own work. I would recommend it to people who feel they can think outside the box and wear many hats. I love the freedom and flexibility it provides.There’s really no constraints of job or position. It really is what you make of it! Q: What would you say you have learned from other entrepreneurs? Definitely how lonely it can be. You don’t have the same support that you get internally in a corporate job when you’re an entrepreneur. Being involved in entrepreneur organizations, like AWE, really surrounds you with other like-minded people. There is so much value in that. You begin to recognize that everyone has challenges and that regardless of industry, my challenges are not much different than other entrepreneurs. Q: How did you find out about AWE? I’ve known about AWE for many years, but became more involved a few years ago. When I found out about the programs for established businesses, like PeerSpark™, I joined right away. Q: What do you want Intellidig to be know for? I want us to be known as a trailblazer. We really started with the concept of providing something different, a different model to a traditional industry. The most consistent challenge has been trying to break the mold and let people know that there are alternatives to recruitment. It’s been a challenge, but I’ve stuck with it and paved the way! To learn more about Intellidig and the work they are providing, visit their new website at www.intellidig.com or visit them on Facebook. With the New Year of 2018, we look back with great admiration for the Indigenous Women who have participated in the NextStep to Success Business Plan Learning Series, which was launched in September 2017. We want to share some of the comments from the Siksika Nation participants. In March 2018, AWE will be opening sessions for registration for new and ready to start Indigenous entrepreneurs in Calgary and Edmonton. Please contact Bev Latter, Special Projects at 403-862-3490 or bev.latter@awebusiness.com to register. AWE is honouring female entrepreneurs from across the province. Nominated by their peers, these inspirational women are achieving growth and success in business. This year, we had over 75 applicants for our 2018 Awards! Finalists will be announced at our upcoming nominee receptions happening in March. On April 25, 2018 we will announce the recipients for this year's AWE Upsurge, Emerging, Emerging Innovator and Celebration of Achievement Awards. For me, and maybe you too, 2017 was a challenging year. In addition to the loss of incredible people and other heartbreaks, I felt uncertainty swirl all around us as change happened rapidly and we were surrounded by an overwhelming amount of information. Personally, the year ended with events that forced me to slow down, reflect, regroup and refocus my priorities and my attitude. Fittingly, the theme of this year’s AWE Learning Day is Enhancing Opportunities. To my earlier point, identifying and tapping into those opportunities can be easier said than done. Many of us tend to have #FOMOOO (fear of missing out on opportunities) without really evaluating whether the opportunity should be a priority to pursue and what is the actual cost of letting it go. In my first year as CEO of AWE I felt as though I needed to stretch myself much too thin based on FOMOO. What if I am missing something really important? What if I let someone down? I used to be guilty of these thoughts until I shifted my mindset from scarcity to abundance. I realized that there are not a finite number of opportunities available so if one thing does not happen as planned, it is not the end of the world. In fact, it could be a good thing since you now have the space to open yourself up to something that is a better fit. I have learned a great way to avoid the #FOMOOO is to ask for help by calling on your team or network to take on opportunities that do not best fit your priorities instead of taking everything on yourself. In the end, you have embraced the opportunities that are a priority to you and created new opportunities for others. We can’t always be prepared for the challenges life throws at us, but we can choose how to we respond and manage through them. The power of positive thinking is a great place to make decisions. In my opinion, leading with optimism over fear and having the mindset of abundance is the best way to enhance opportunities. What fear is holding you back? How will you enhance and embrace opportunities this year? I hope you will join the conversation at our Learning Day event on February 20 in Edmonton. Join us for our NextStep to Success for Indigenous Women 2018 Business Plan Learning Series! This training program offers guidance on creating the key parts of a business plan. The first session begins on February 21 in Edmonton, AB. Contact Bev at 403-862-3490 to register! Find Out How Women's Enterprise Initiative (WEI) Lending is Making a Difference! Women play an important role in the creation and operation of small businesses across Canada, yet they often face barriers and a lack of support. To help remove these barriers, Western Economic Diversification Canada established the Women's Enterprise Initiative (WEI) to provide business information and services to women entrepreneurs. Find out how WEI lending is making a difference! The WEI has offices in each of the four western provinces. These non-profit centres provide a variety of unique products for women entrepreneurs including advisory services, training options, networking opportunities, business loans and referrals to complementary services. As an entrepreneur, you know that being in business for yourself is not always easy. Being an entrepreneur takes long hours, hard work and endless amounts of caffeine. It also takes a certain level of tolerance and the ability to make the most out of opportunities. On February 20, 2018 we are bringing together the best of the best to present Learning Day: Enhancing Opportunities at the Chateau Lacombe Hotel in Edmonton. The day will be filled with countless opportunities to grow your network and grow your business with valuable advice from our kick-off speaker, Stacey Berger, specialists from within the entrepreneurial community and experts from organizations such as ATB Business and Business Link. While there are many reasons to attend Learning Day, here are the top three reasons why we think you should attend! Education is the key to moving towards your goals. In a world that is constantly changing, continuous learning is vital as a business owner. At Learning Day you will be able to access a variety of workshops with topics including sales, human resources, marketing and scaling your business. Being an entrepreneur can sometimes be isolating. It can be hard to relate to friends or family about your business pains and peaks. At Learning Day you will be able to connect with like-minded women who understand what it's like to be in business for yourself. You will also have the opportunity to meet service providers and partner organizations who are doing amazing things to support entrepreneurs just like you! From accessing a variety of workshops to connecting with like-minded women and partner organizations, there is so much to gain from attending Learning Day. We are sure you will be inspired after attending the event and hearing from our speakers with topics ranging from digital marketing, human resources and more! We are so excited to see this event come to life. It will be a day to remember! Questions about the event? Reach out to us! Join us for our NextStep to Success for Indigenous Women 2018 Business Plan Learning Series! This training program offers guidance on creating the key parts of a business plan. The first session begins on January 30 in Calgary. Contact Bev at 403-862-3490 to register! All experts will agree that a good Export Plan should not be based on throwing spaghetti at a wall map of the world as the means of deciding where best to export your products and services. Researching and planning are key elements to building your export strategy. “But how do I do that?” you are probably asking. Two words: TRADE MISSIONS. That what these women business owners did in 2016. 3. Have done some research and know that there is potential for their products and services in the Florida region. Learn about exporting into the U.S. Explore export opportunities in the Florida region, which is the fourth largest economy in the U.S. Participate in B2B (business to business) match maker meetings and get a clearer picture of what potential buyers look for when choosing suppliers. The Canadian Trade Commissioner Service (TCS) has a free online guide called Step-by- Step Guide to Exporting, a must-read especially if you are at the early stages of growing the export dimension of your business. You may want to take a look at it before you attend Go For The Greens. If the U.S. is a market where you already know you would like to export, then you will want to check out the TCS online document on Exporting to the United States – A Guide for Canadian Businesses. Written by Nancy Brommell, Business Advisor, Women’s Enterprise Centre of Manitoba. Edmonton, AB, December 12, 2017 – Canadian women entrepreneurs lead in early-stage activity (TEA) compared to other innovation-based economies, according to Global Entrepreneurship Monitor’s (GEM) Canada Report on Women’s Entrepreneurship. Canadian women also ranked fifth highest for established business ownership (EBO). Alberta continues to breed entrepreneurship, with the rate of early-stage activity (less than 3.5 years) in the province (15.5%) surpassing the national average of 13.3%, up from 10.0% in 2014. Alberta is also among the top provinces for established business ownership (over 3.5 years) among women with an activity rate of 7.2% compared to the national average of 6.6%, though this has declined since 2014. The GEM Canada Report on Women’s Entrepreneurs highlights success stories out of Canada including–Claire Theaker-Brown, the founder of Unbelts. Claire sought help from Alberta Women Entrepreneurs to scale and grow her company, where she received financial support, as well as mentorship support through AWE’s PeerSpark™ program. In 2016, 85% of women indicated they were motivated to start a new business by opportunities, up notably from 70% in 2014. Established business ownership (EBO) activity levels is closest to parity, with 1.07 men for every 1.0 woman. This is interesting and important since established businesses are ones with longevity and proven success. With respect to industry location, early-stage women entrepreneurs continue to cluster strongly in consumer services (54.5%) and business services (28.2%), though global comparisons suggest that Canada has a strong presence of women in the high-tech (ICT) sector compared to other innovation-based economies. While men are more likely than women to assess their human and social capital highly, there are no apparent gender gaps in fearing failure, where a notable gender gap was reported in 2014. Exporting activity in start-ups also shows an increase with about one-third of women reporting that 25% or more of their customers are outside the country. Amongst the key assets Canadian women bring to their businesses are positive attitudes, opportunity-based motivations, high human capital, and strong interest in internationalization and innovation. Entrepreneurship Monitor, the largest and longest running survey of entrepreneurship in the world. The report was written by Karen D. Hughes, a Professor at the Alberta School of Business and the Department of Sociology at the University of Alberta.